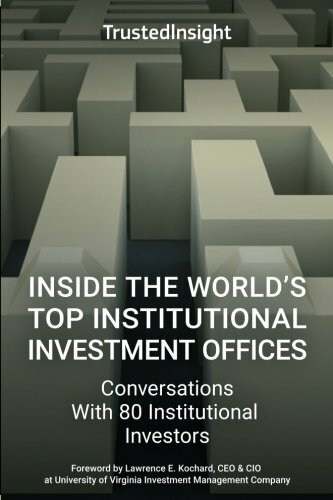 In September 2015, Trusted Insight embarked on the ambitious task of interviewing the world’s top institutional investors. To date, we spoke to more than 150 chief investment officers, directors and investors of varying seniority from endowments, foundations, pension funds, family offices, sovereign wealth funds, hospital systems and corporations in the United States and across the globe. We organized answers from 80 of the best interviews to chronicle the career paths, teams, investment strategies and the current trends driving an industry that controls more than $40 trillion. If you have any questions about this product by Trusted Insight, contact us by completing and submitting the form below. If you are looking for a specif part number, please include it with your message. BEYOND The Banking Holiday: Your Savings Now Belongs To Your Bank, Not To You Anymore!